Myth Busters Flu Edition: Give Us Your Best Shot! We have all heard the opinion of others when it comes to the flu, but how do we know what information is real and what isn’t? With flu season in full swing, and all of the misconceptions circulating this time of year, we have compiled a list of the top flu myths to help keep you and your family healthy this flu season. The truth is, it is scientifically impossible to get the flu from a vaccine. The flu shot is either made from an inactivated (dead) virus that cannot cause the flu, or it’s made by using a single gene from a flu virus (as opposed to the full virus). The single gene is enough to produce an immune response without causing infection. The nasal spray, which is available this flu season, does contain live viruses, but the viruses have been weakened, and cannot give you the flu. So the next time someone tells you this, tell them it can’t happen, because- science says so! Read more here on why this myth persists. Myth 2: You’re healthy, so you don’t need the flu vaccine. We wish this one was true, but in reality anyone can get the flu. It is correct that certain people are at higher risk for developing serious complications from the flu, but everyone 6 months of age and older should get vaccinated. Myth 3: It’s better to get the flu than the flu vaccine. Tell this to someone who has had the flu before. The flu not only can cause body aches, fever, cough, and chills, but it can cause serious symptoms, hospitalization, or death, even among healthy children and adults. So, don’t risk it; get the flu shot! Myth 4: You don’t need a flu vaccine every year. The flu virus typically changes each year, and even when it hasn’t, our immunity decreases as time goes on. Getting vaccinated every year is our best shot (pun intended) at getting the protection we need against the flu. Myth 5: Pregnant women shouldn't get the flu vaccine. Actually, flu vaccines given during pregnancy help protect both the mom and her baby from flu. A recent 2018 study showed that getting a flu shot reduced a pregnant woman’s risk of being hospitalized with flu by an average of 40 percent. Myth 6: It’s too late in the season to get vaccinated. Although the CDC recommends getting vaccinated by the end of October, getting vaccinated later is still beneficial. Flu is unpredictable and seasons can vary. Seasonal flu usually peaks between December and February, but it can occur as late as May. So if you haven’t gotten your flu shot yet, don’t worry, it’s not too late! Myth 7: Getting the flu vaccination is all you need to do to protect yourself from the flu. Don’t be silly. We can all help stop the spread of germs. Wash your hands frequently with soap and water; try to avoid close contact with sick people (people with flu can spread it to others up to about 6 feet away); and try not to touch your eyes, mouth, and nose. 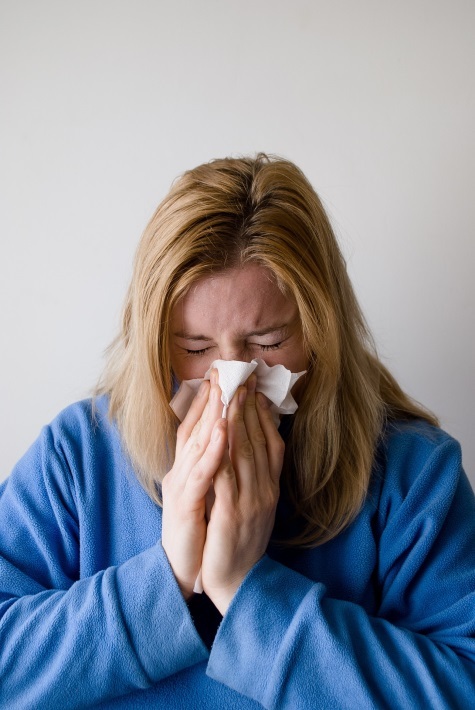 Myth 8: You can't spread the flu if you're feeling well. Most healthy adults may be able to infect others beginning 1 day before symptoms develop. That means you can pass the flu onto someone else before you even know you are sick. Some people can be infected with the flu virus but have no symptoms, during this time, they can still pass the virus on to others. Myth 9: If you have a high fever with the flu that lasts more than a day or two, antibiotics may be necessary. Antibiotics only work against bacteria; they are not effective against a viral infection like the flu. Click here to learn about what to do if you get sick with the flu. Myth 10: The flu is just a bad cold. The flu may cause bad cold symptoms, like sore throat, runny nose and cough, but the CDC estimates show that more than 900,000 people were hospitalized and more than 80,000 people died from flu last season. These are record-breaking numbers, and stress the seriousness of the flu. Its December…Welcome to the hustle and bustle of the holidays! While it may be the ‘Most Wonderful Time of the Year’, it can also be the busiest and most stressful. Our to-do lists for gift shopping and wrapping, card sending, decorating and cooking are never ending. Sometimes safety falls to the bottom of our list in our efforts to make everything shiny and bright. So here are some tips for keeping our lives holly and jolly this time of year! Trimming the tree should always be a fun family occasion - just make sure you hang your breakable/glass ornaments at the top of the tree and leave lots of room at the bottom for your children to decorate with their favorite, non-breakable ornaments! Poinsettias and mistletoe can be beautiful additions to your holiday home décor, but they can also be dangerous to pets and children. So make sure to keep those pretty plants out of reach from little hands and paws! Make sure your Christmas tree and other decorative lights are only plugged in when you are home and awake. As tempting as it is to leave all your indoor lights on when you’re not home or while you’re sleeping, the risk of fire is not worth it. If you have a real tree, check the water daily so it stays healthy and doesn’t dry out, which can spark fires with your lights. Keep your candles a safe distance away from your tree, walls and out of the reach of children. Always blow them out before you go to sleep or leave the house. There are so many choices when it comes to gifts for the children in our lives. When choosing toys for infants or small children avoid those that have small or removable pieces or strings that could become a choking hazard (especially in the chaos of Christmas Morning)! Be aware of small, coin-sized lithium batteries that may come with older children’s toys and don’t let them end up in the hands or mouths of younger children! Old Man Winter is ready for winter...are you? As we say goodbye to our summer and fall, it won’t be long until we are forced to welcome even colder weather and with that, tougher driving conditions. With this in mind, are both you and your vehicle ready for the winter? How’s your inner “Mario Andretti”? Should your car break down or you become stuck, do you have a survival kit in your car? As a firefighter, I can tell you it will be hard for emergency vehicles to get to you during snowy and icy conditions so it is best to be prepared! Most importantly, extreme winter weather can threaten your life. 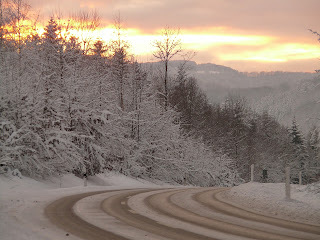 I’ve put together a few winter safety tips to keep in mind as you hit the roads this winter. Before heading out, listen to forecasts, road reports and storm warnings. Dress appropriately. Pack extra scarves, mittens, jacket, and blanket in case your car becomes stranded. Allow extra time. You never know what might happen during your trip. I think it would be a great idea to have a NASCAR Pit Crew in your trunk (or even a reliable Trunk Monkey). Anything my car needs can then be taken care of on the spot, and quickly! While I don’t have the room in my trunk for such items (let alone the money to pay for all of it), I do take the time to check a few items off my pre-flight list before the trip. How about you? Are your tires ready? Having a good winter tire makes a world of difference when driving through tough winter conditions. How’s your windshield wipers and fluid? Is your car cleared off? Clean frost, snow and ice off all windows, mirrors, lights, reflectors and your roof. Snow and ice flying off vehicles while traveling can be very dangerous. Do you have gas? Keep your gas tank at least one-half full. How is your battery? It’s best to charge it periodically. There are summer days where I find having to share the road with other drivers stressful! This time of year, I believe that Mother Nature is looking at us and thinking, “How can I add to their fun? I’ve got it! Let’s throw in some slick roads!” Since it is obvious that she has a sense of humor, here are a few things to consider should you be stuck in a slippery situation. Accelerate carefully to test wheel-spin and brake gently to test skidding. Use the accelerator and brakes slowly to maintain control of your vehicle. Know what type of brakes you have. Almost all cars now have anti-lock brakes and can be applied by using steady pressure on the brake pedal until you are stopped. For cars without anti-lock brakes, use a gentle pumping action. Brake before you come to a curve, not while you are in it. Heavily traveled intersections can become “polished” and icy causing loss of steering control. Do not use your brake on ice. Take your foot off the gas and steer as straight as possible until your car slows to a safe speed. If the rear of your car begins to slide, turn into the direction of the skid. Expect a second skid as the car straightens out, and be prepared to counter this sliding action. Look at the direction that you want to go…NOT where you are going! Increase your following distance! Ice or snow can multiply your stopping distance up to 10 times. If you do find yourself in an emergency situation, you can intentionally steer your car off the road and into a snow bank. You may get stuck, but you’ll avoid a crash! No one thinks about survival until there is a need. Funny how we all work like that. In the thick of a problem is when we usually hear that little voice saying “Should have thought about this before now!” There were times where I heard that voice more than I liked, but each time I heard it, I was in a situation. I learned from each one, thankfully (although there are times where a few of my friends and family would mention how the Jury is still out on that)! No matter, here are a few ways you can keep yourself alive until help arrives! Use an empty three-pound coffee can or any similar container with a plastic cover to store the following items in your vehicle. Store survival kit in the passenger compartment in case the trunk is jammed or frozen shut. Remember…unless you need to be out, it is always safer to just stay home!